Free-market consultants in Britain are taking hundreds of millions of pounds ring-fenced to alleviate poverty in the developing world, as the government continues with its agenda of privatizing aid, a damning report has warned. A study conducted by British NGO Global Justice Now (GJN) raises grave concerns over the sheer amount of aid money the Department for International Development (DfID) has given to consultants Adam Smith International (ASI) for overseas aid projects. The report, titled ‘The Privatization of UK Aid’, was published on Friday. It found that ASI has won a minimum of £450 million (about US$640 million) in aid-funded contracts over the last five years. DfID funneled almost £90 million of its budget through the consultancy firm, more than the total amount given to human rights and women’s rights groups. This figure is almost double that spent on projects to tackle Aids and HIV, according to the report. The study examined how much of DfID’s work was geared towards supporting market-based development and the private sector in poor states. Recent projects included backing for a “business advocacy capacity development program” in Zimbabwe, and projects to increase private schooling in Kenya. The report also analyzed a number of existing case studies on ASI projects, such as the consultancy firm’s role in privatizing Nigeria’s energy system and making Afghanistan “investor friendly” by helping to rewrite energy extraction legislation there. The NGO said the legislation, which was later passed into law, lacks transparency and does not protect local citizens’ rights. 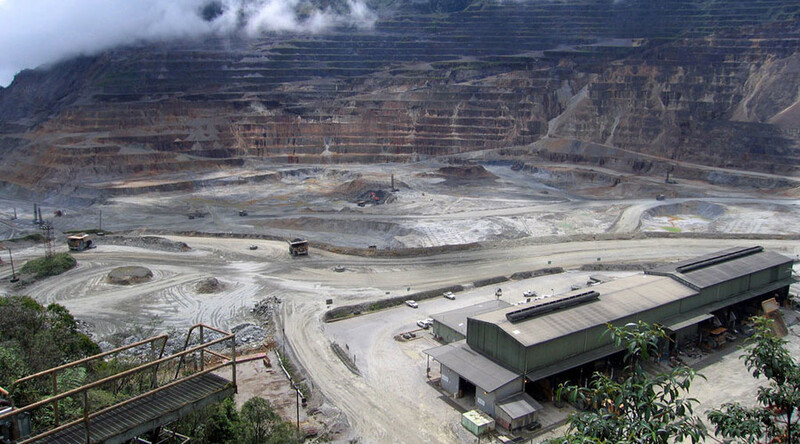 ASI has also helped to develop new mining legislation and regulations in Papua New Guinea, where the energy extraction technique has a legacy of violent conflict. GJN’s report says the laws have been branded “authoritarian and regressive” by critics. The NGO argues that Westminster’s increasing use of consultancy firms forces out smaller companies in impoverished states and highlights DfID’s tendency to embrace private partnerships and back private-sector development schemes that risk jeopardizing communities in the developing world. It has called on DfID to explain why it chooses to hire profit-driven British firms like ASI rather than using its own employees or companies in the developing world. GJN also urged DfID to be more transparent on contractors’ costs, and to release a robust plan on spending more through organizations in developing countries. DfID defended its use of private contractors, arguing British aid is assisting highly vulnerable people in crisis-ridden states. “UK aid is focused on tackling extreme poverty, helping people in some of the most fragile and dangerous places on Earth, including war zones and disaster areas,” a spokeswoman for the government department told the Guardian. Labour’s Shadow Secretary for International Development Diane Abbott said the government must take a serious look at how aid money is spent. “UK aid is being used to pay for consultants instead of alleviating poverty in the global south. We must look beyond simply spending 0.7 percent of UK GNI on aid, but look at how it is spent. UK aid should be first and foremost about tackling poverty and inequality and not benefitting the UK,” she said. ASI defended itself against the allegations in the report. “The vast majority of the world’s poor are in the informal private sector. To bring people out of poverty, one must address the factors that are keeping them poor,” the firm said in a statement. However, GJN’s campaigns and policy officer, Aisha Dodwell, hit back, saying British taxpayers would be shocked if they knew how much UK aid money was given to free-market consultants. “UK aid could be used to strengthen public services, support civil society, and build democratic and accountable institutions,” she said. “Instead of padding the pockets of big UK contractors like Adam Smith International."